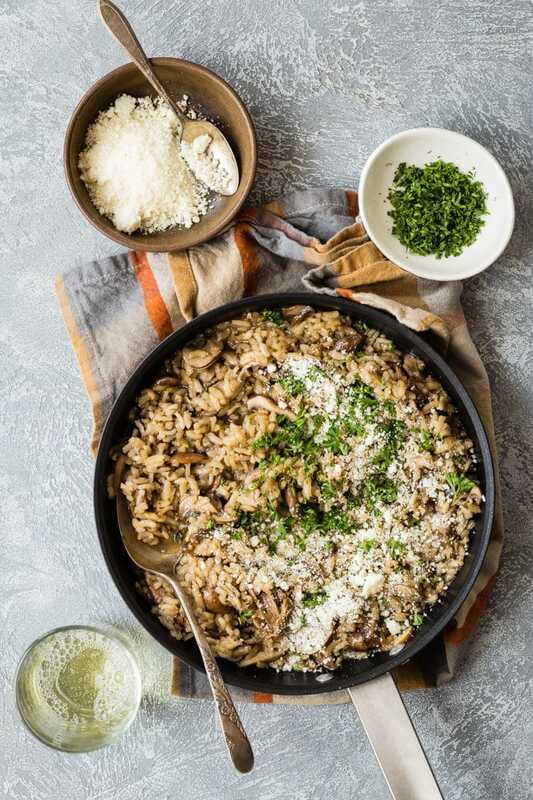 Nutty and rich in flavor, Wild Mushroom Risotto is a dish that is more than worth the effort you’ll put into it at the stove. 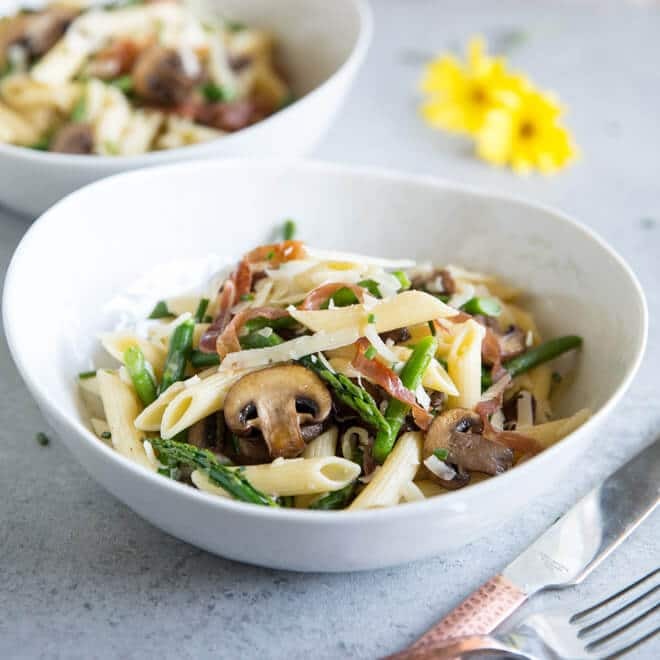 I adore a super creamy risotto, and this recipe is just that, made even more luscious with an assortment of tender, earthy wild mushrooms. You’ll savor each bite, I promise. 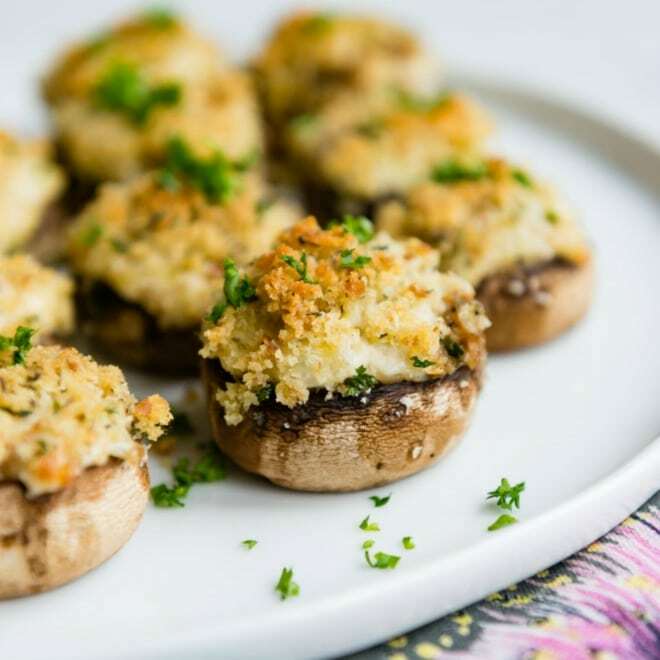 This makes an elegant stand alone meal, or a lovely side dish when accompanied by a rack of lamb or baked salmon. 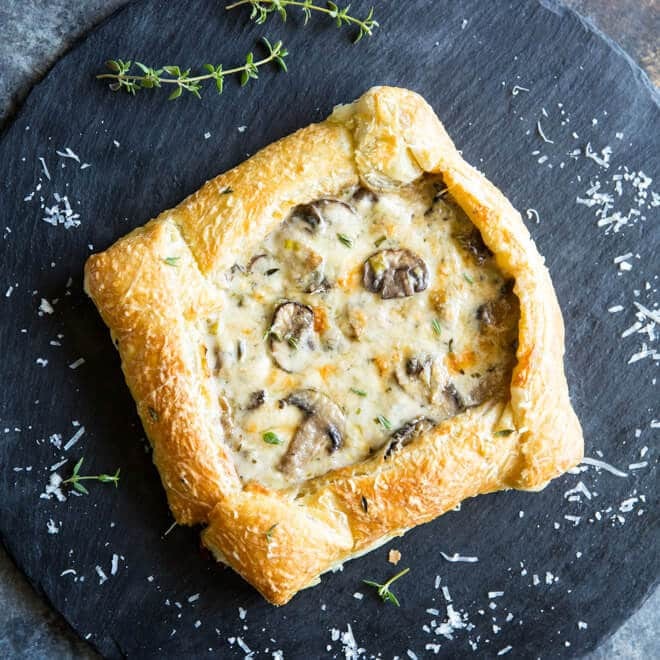 Need to make a larger amount of this fabulous recipe? Click and slide the number next to ‘servings’ on the recipe card below to adjust the ingredients to match how many you’re feeding—the recipe does the math for you, it’s that easy. What kind of mushrooms work best for Wild Mushroom Risotto? Perhaps because I love all mushrooms, I like to mix it up with several varieties. Porcini add the most flavor, in my opinion, and can be found dried in specialty gourmet stores or online. With dried porcini, a little goes a long way in terms of flavor. Otherwise, I look for the freshest looking mushrooms I can find. What kind of rice works best for risotto? 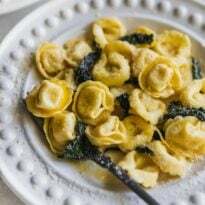 To make this recipe, I use a short grain rice such as Arborio, Carnaroli, Vialone, Nano, or Baldo. Arborio is the easiest to find but all of these varieties have higher starch content which works well in making the creamiest risotto. Can Wild Mushroom Risotto be frozen? 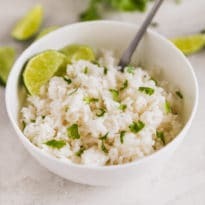 Well, because risotto is a rice-based dish that takes skill to achieve the perfect texture, you might experience some slight texture changes when you re-heat the dish after freezing, but it’s certainly possible and will taste just as good. In terms of food safety, it is perfectly fine to store leftovers in the freezer. What can be added to Wild Mushroom Risotto? Think Spring! Add peas, asparagus, crispy fried leeks, sautéd shrimp, seared scallops, bacon, or spring onions. Can you make Wild Mushroom Risotto with brown rice? While it’s possible to use short grained brown rice, you must par cook it, as brown rice takes much longer to cook. However, be aware that brown rice may alter the texture of the risotto somewhat. To par-cook: bring a medium saucepan of water to a boil, and add a pinch salt. Stir in rice; reduce heat, and simmer for 15 minutes (rice will not be done). Drain. Set aside or continue with the recipe. Can you make Wild Mushroom Risotto ahead of time? Can you make Wild Mushroom Risotto vegan/dairy free? 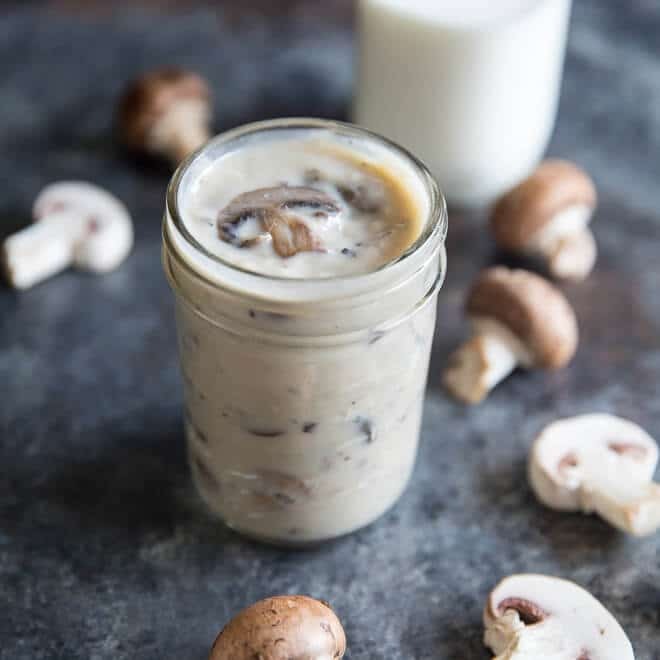 If you’re avoiding dairy and would like to serve a vegan version of this recipe, substitute out vegetable stock (and the water you soaked the porcini mushrooms in) for the chicken and avoid the cheese. You might try using your favorite vegan friendly cheese and finishing the dish with a little extra vinegar, too. Can Wild Mushroom Risotto be made without chicken stock? If you want to make this dish vegetarian, substitute out vegetable stock and some white wine for the chicken stock. Can you make Wild Mushroom Risotto in an pressure cooker or Instant Pot? First, select the Saute function on an electric pressure cooker. Add olive oil; then add parsley, garlic, and scallions; cook for 5 minutes. Next, add the mushrooms; cook, stirring occasionally, until slightly softened, about 3 minutes. Then, stir rice into the pot until each grain is coated with olive oil mixture, about 2 minutes. Pour in chicken stock, stirring to scrape the sides of the pot. Simmer for 1 minute. Next, close and lock the lid. Turn the venting knob to point at Sealed. Select Manual function; set timer for 6 minutes. Set to high pressure according to manufacturer’s instructions, 10 to 15 minutes. Once the timer goes off, tap venting knob a few times with a wooden spoon or spatula. Stand back; turn knob to point at Vent. Remove lid when pressure is released, about 5 minutes. Stir the risotto until creamy, then add the cheese and vinegar. 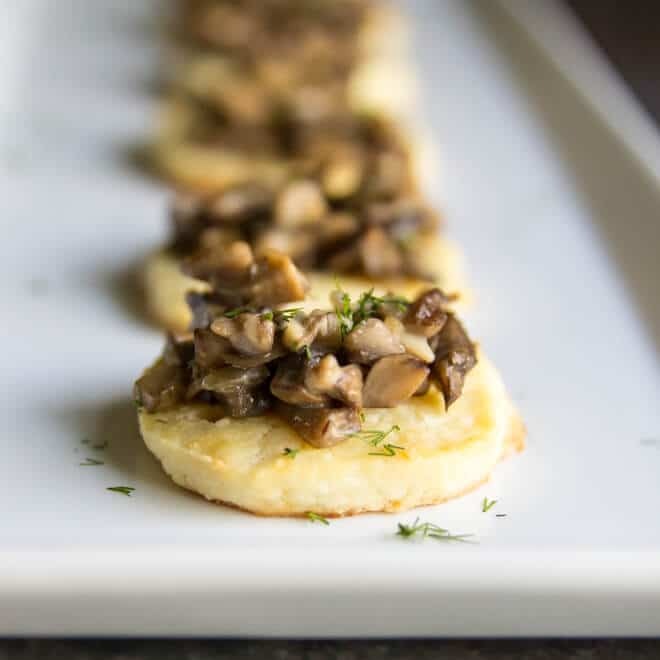 Save this Wild Mushroom Risotto to your “Main Dishes” Pinterest board! 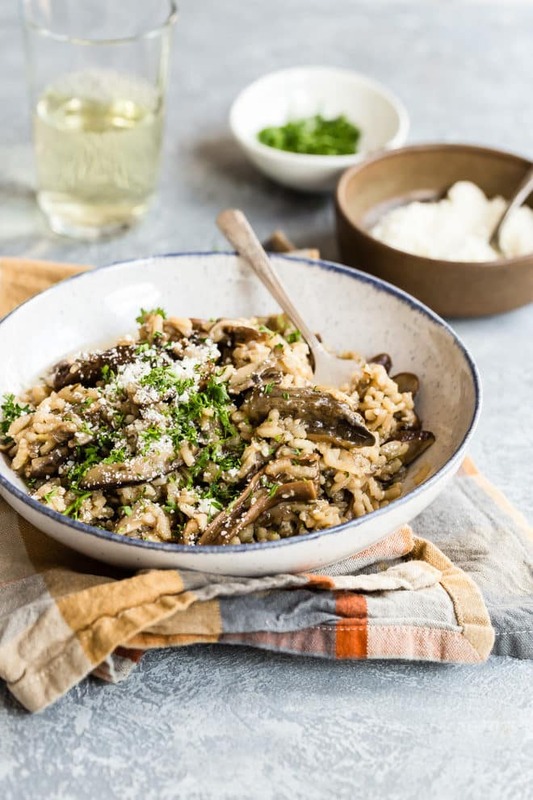 Nutty and rich in flavor, Wild Mushroom Risotto is a dish that is more than worth the effort you'll put into it at the stove. 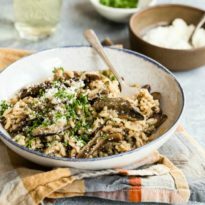 I adore a super creamy risotto, and this recipe is just that, made even more luscious with an assortment of tender, earthy wild mushrooms. You'll savor each bite, I promise. Cover dried porcini mushrooms in warm water and let stand at room temperature until softened, 30 minutes to 1 hour. In a large skillet over medium heat, heat oil until shimmering. Add parsley, garlic, and scallions and cook until tender, about 5 minutes. Stir in rice and cook until the edges are translucent, about 3 minutes. Stir in porcini, shiitake, and cremini mushrooms. 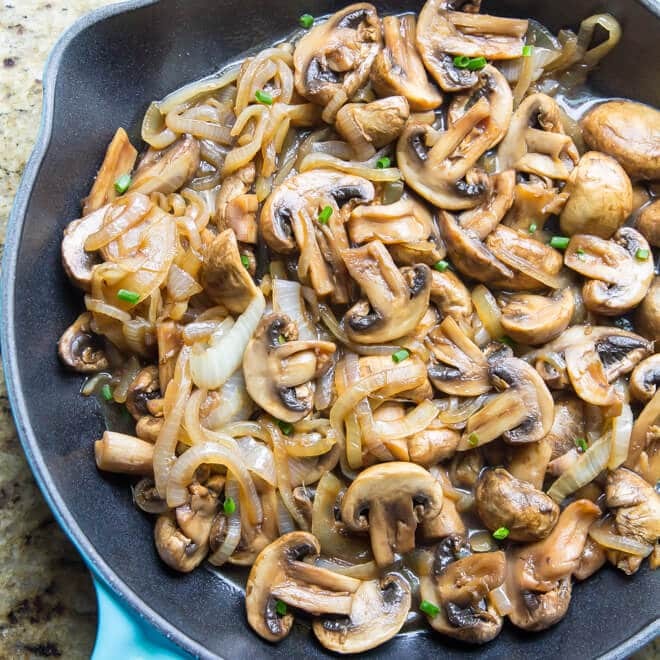 Cook until mushrooms are tender, about 3 minutes. Reduce heat to medium and stir in 1 cup broth. Cook uncovered, stirring frequently, until broth is absorbed, about 5 minutes. Stir in remaining broth, 1/2 cup at a time, cooking about 3 minutes after each addition and stirring occasionally, until broth is absorbed, rice is tender and mixture is moist. Stir in cheese and vinegar and garnish with parsley if desired.